Guess that frenetic scavenging and robot-dodging won't be just terrifyingly exciting—it will also be beautiful. Big Robot, the creators behind the heavily British tweedpunk sci-fi survival sandbox that is Sir, You Are Being Hunted, have released seven new screenshots showcasing the somber beauty that's present in their game. It's good of them, considering you'll hardly have time to admire the scenery once you'll have a group of bloodthirsty robots trying to smoke you out of the bush you're hiding in. 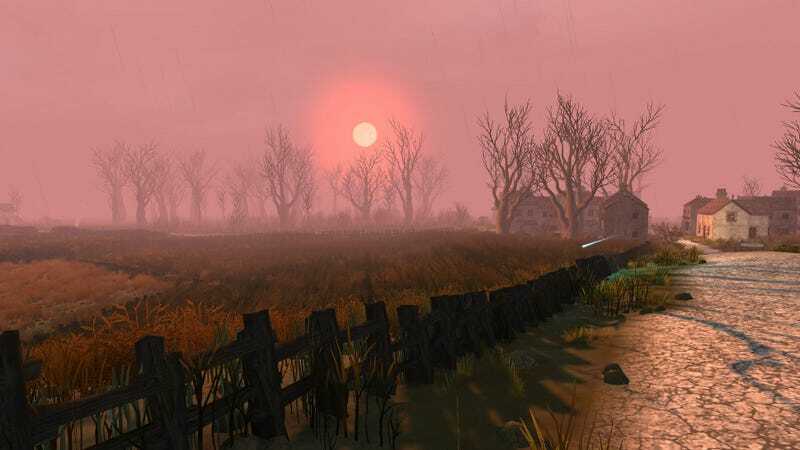 Sir, You Are Being Hunted is expected to hit PCs this month. Here's an early dose of its beauty.